Native Range: Native to the Mekong and Chao Phraya basins; Thailand, Laos, Vietnam, Sumatra, and Borneo (Kottelat 2001; Rainboth 1996). Table 1. States with nonindigenous occurrences, the earliest and latest observations in each state, and the tally and names of HUCs with observations†. Names and dates are hyperlinked to their relevant specimen records. The list of references for all nonindigenous occurrences of Balantiocheilos melanopterus are found here. Remarks: This species is considered endagered in its native range by the IUCN; populations across Southeast Asia have declined or become extirpated since 1975 through habitat alteration and overharvesting for the aquarium trade (Ng and Kottelat 2007). Kottelat, M. 2001. 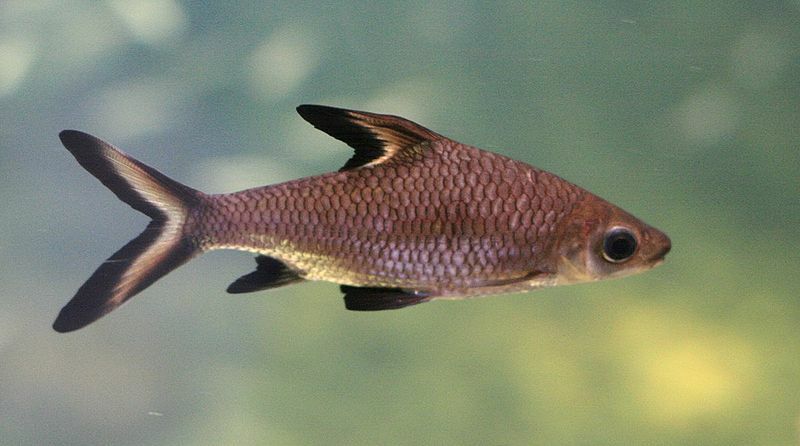 Fishes of Laos. Wildlife Heritage Trust Publications, Colombo, Sri Lanka. Seng, P., and G. White. 2003. Indiana aquatic nuisance species (ANS) management plan. Indiana Dept of Natural Resources, Indianapolis, IN.